Heart attack or myocardial infarction usually occurs as a result of a restriction of blood flow to a beating heart. While this is related to a sudden cardiac arrest, they are not equivalent as a cardiac arrest involves a sudden stoppage of complete flow of blood due to improper contraction of the heart. Even upon introduction of CPR, the survival rate of patients with a sudden cardiac arrest is quite low and not significant change has been noted since 1993. Studies completed previously have investigated the relationship between CPR and the rates of survival and have come to the conclusion that upon performing CPR for ten minutes, the rate of survival tends to drop very significantly and even much more when 30 minutes are exceeded. 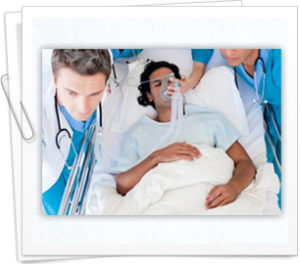 Extracorporeal life support is another way in which cardiac arrest patients get support. In this method, a catheter is inserted in the artery of the leg and the femoral vein. The blood tends to flow through the catheter by the way of an oxygenator, pump and heat exchanger before it finally returns into the body and then prepares to reenter the patient’s body with the bound oxygen. Previous use of ELS in the past has yielded positive results among people with cardiac arrest. It effectively enhances the flow of blood in the coronary and helps the tissues of the heart to live and this significantly reduces the time required for independent circulation occurs. In addition to this, ELS is able to maintain the flow of blood into other organs and this further prevents dysfunction and also decreases later mobility. While the underlying issue is supported with ELS, it is able to diagnose the problem and treat the condition which eventually returns the patient into a normal state. In his investigation of how ELS and CPR affects the survival of patients of sudden cardiac arrest, Dr. Jou Wei Lin and Yih Sharng Chen of the National Taiwan University in Taiwan together with their colleagues performed a study for three years where they examined patients aged between 18 and 75 years old who had suffered cardiac arrest in hospital. 113 patients in the group had received CPR treatment for over 10 minutes and 59 of them had received treatment for both CPR and ELS. Those patients who received the two measures showed high rates of survival to discharge, better 1 year survival compared to those who just got the conventional CPR only. The likelihood that patients who got ELS would die was half less as to those who received CPR only. In their conclusion, the authors noted that extracorporeal had both short term and long term survival benefits compared to those receiving conventional CPR.